Please sign up to submit an online enquiry. Budget Prices, Indications. Sign up to view our prices. Finding most of your business through Facebook? 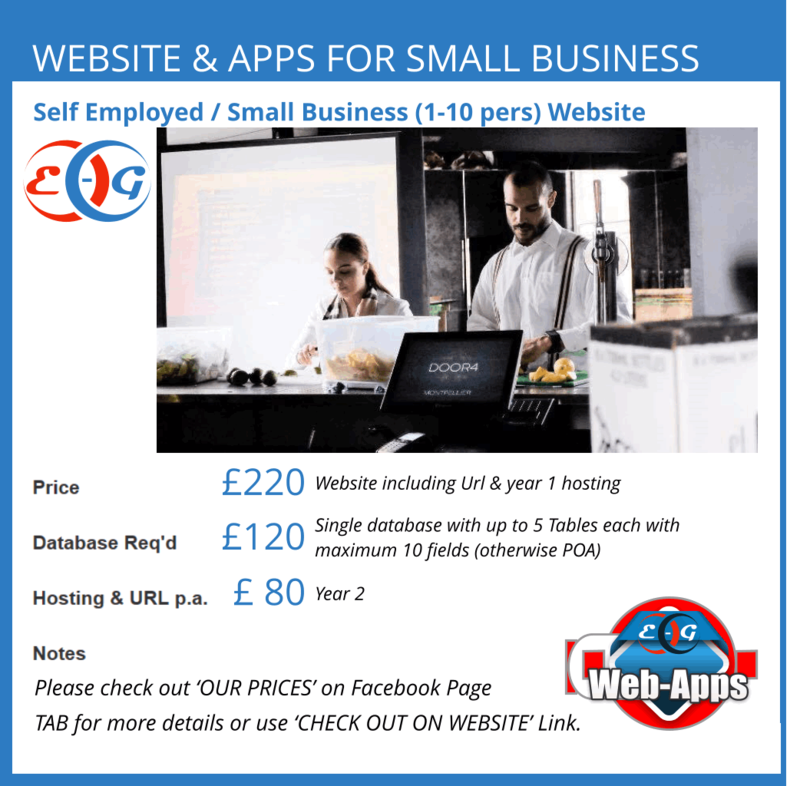 In need of a website or does your current one need updating? 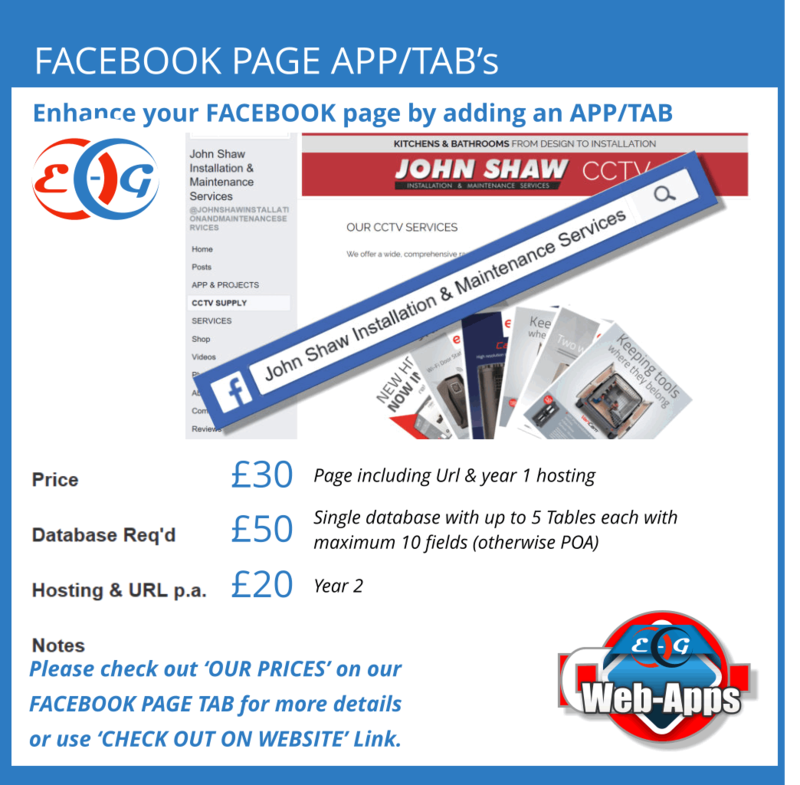 Why not contact us and also consider enhancing your website with one of our database apps. We have special rates for registered charities &n good cause establishments. Let us know your requirements, we would love to help.